1640 Marie Delpech de Lestang founded a religious community named « Filles de Saint-Joseph » or « of the Providence » ("Daughters of Saint-Joseph", or, of the Providence) dedicated to the education of poor orphans. 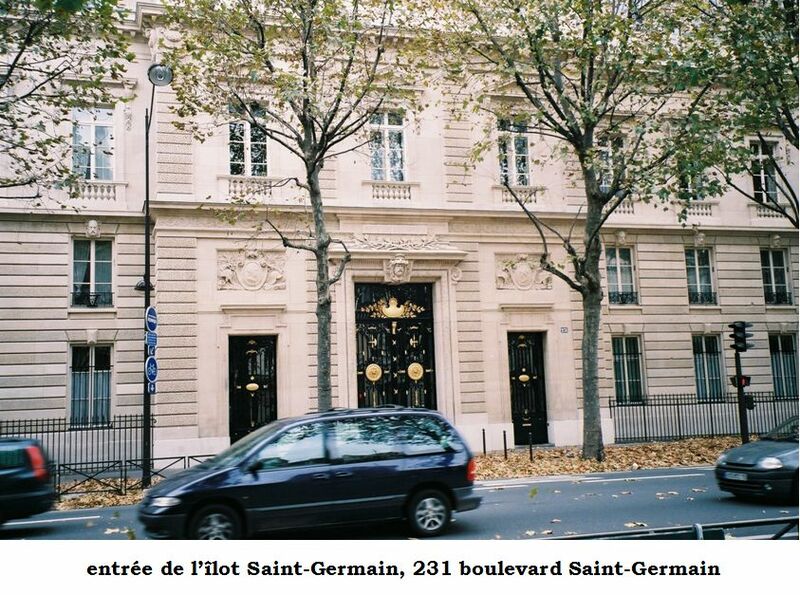 She set up her convent in a house situated "rue des Vaches" at n° 10 of the now rue Saint-Dominique. 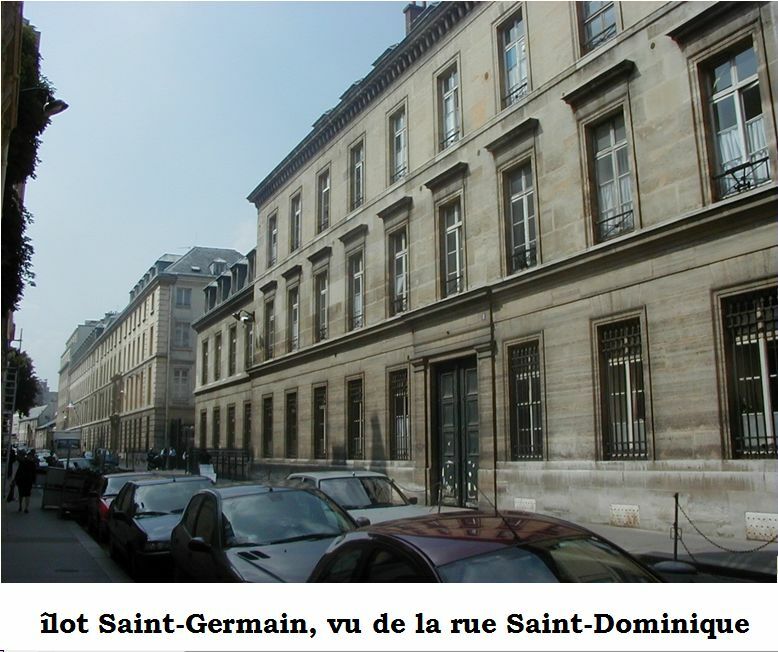 1687 Madame de Montespan, ex-favorite of King Louis XIV, was compromised in « the poison scandal » and had to leave this convent of which she had been named Mother Superior six years before. She made good by gratifying the community with good deeds, notably erecting a chapel and several buildings. 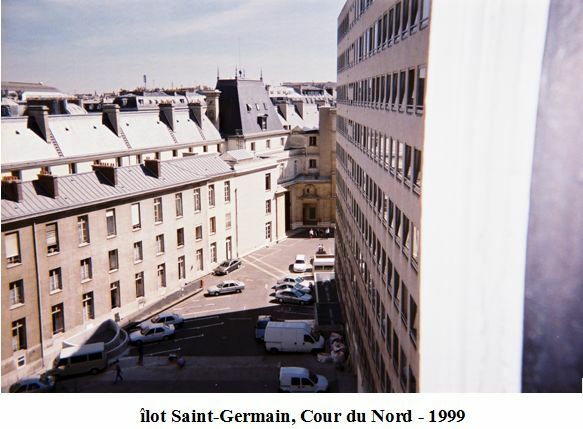 Her apartments were situated in the West wing which has today disappeared from the old « cour de l'Horloge » (clock courtyard). An ibroidery workshop in the convent was in function from 1680-1750 and many pieces were made there for Louis the XIV to decorate his grand apartments in Versailles. 1707 At the death of Madame de Montespan, this community encountered financial difficulty and some of the convent's apartments were rented out to private individuals. 1754 Julie de Lespinasse, also a woman of letters and the niece of the Marquise du Deffand, set up residence at the convent at her aunt's invitation. She left 10 years later to create her own circle where she received writers of writers of encyclopedia as well. 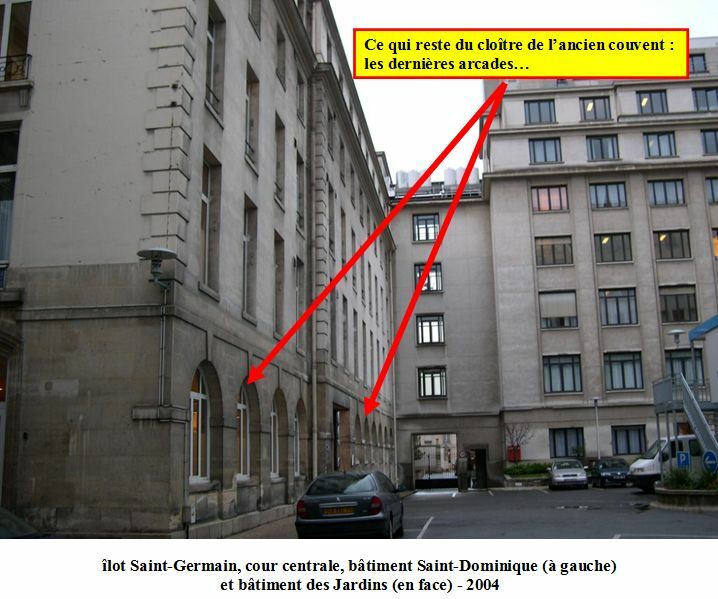 1790 A year after the beginning of the French Revolution (1789), the authorities ordered the convent Filles de Saint-Joseph to be closed, and confiscated its buildings which became property of the state. 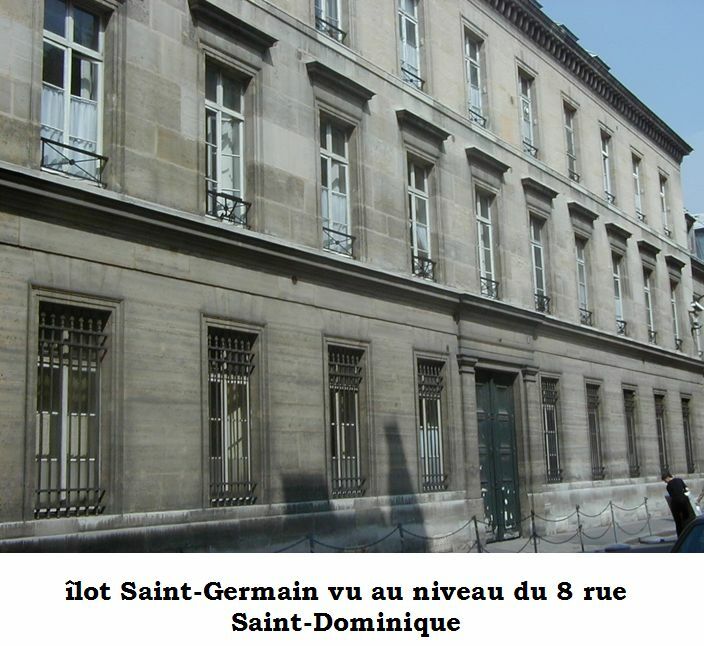 1804 The « Bureaux de la Guerre » (war offices) that's to say Central Services for the War Ministry, installed thiselves in the old convent at n° 88 rue Saint-Dominique, which at the end of the 19th century became known as « 10 rue Saint-Dominique » following the new numbering systi of Baron Haussmann, Head of the Seine Department, who completely rethought the map of Paris and reorganized all its streets, making major changes. 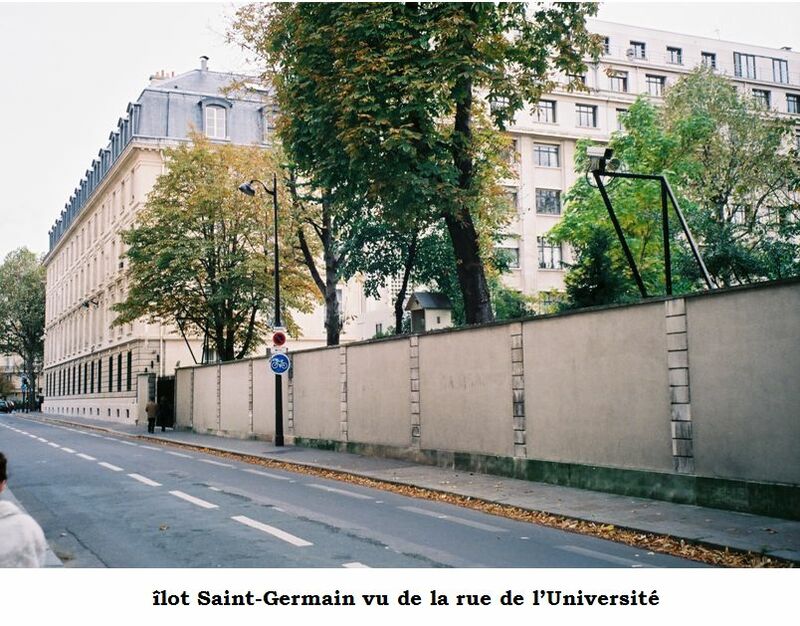 They also took over the hôtel d'Agenois (also known as Aiguillon or Chabrillan) situated at the time n° 67 rue de l'Université which is now the iplacient of the « bâtiment Université » and the courtyard of « n° 75 ». Its gardens communicate with those of the old convent. 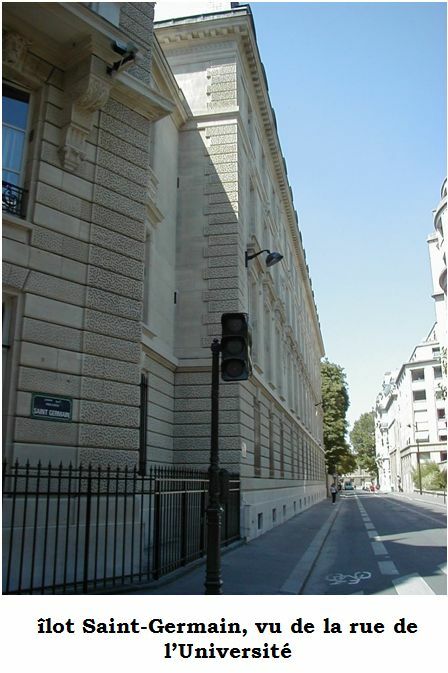 1814 The "Hôtel de Brienne", at n° 92 rue Saint-Dominique, future n° 14 rue Saint-Dominique, given by Napoleon 1st, iperor of the French, to his mother (Laetizia Bonaparte) in 1806, is designated as War Ministry. 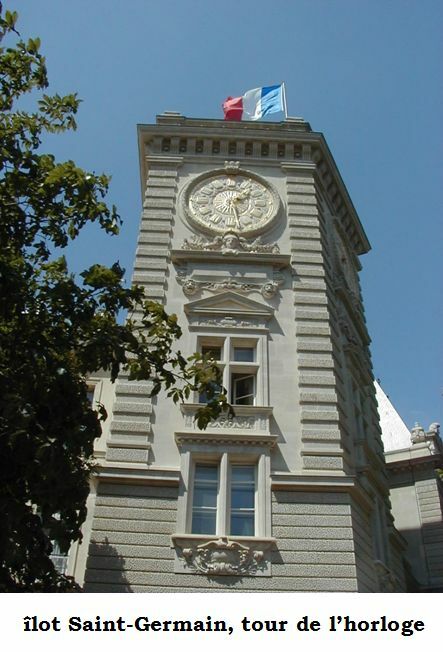 1817 The "Dépôt de la Guerre" (war archives library) is in charge of drawing up maps and topographical drawings for the army as well as preserving its archives and is installed in the hôtel d'Estrées (or Noailles-Mouchy), at the time n° 61 rue de L'Université; its gardens communicated with those of the convent and the hôtel d'Agenois. 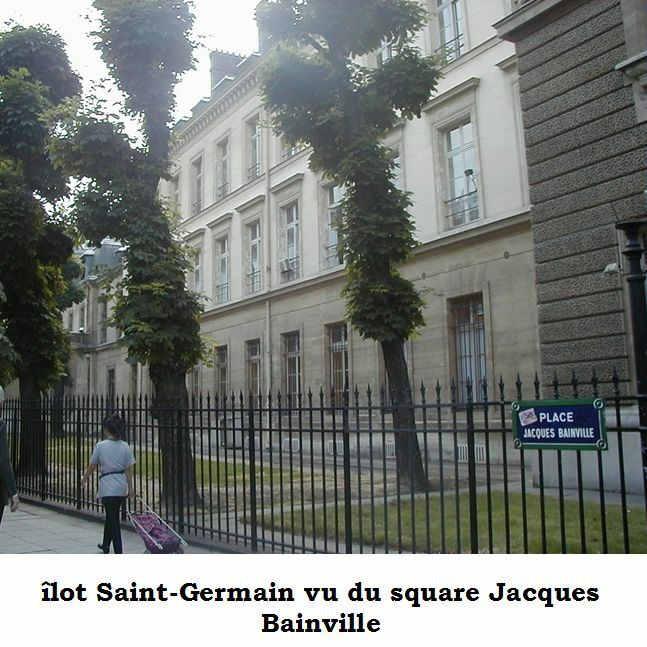 After this installation, the War Ministry buildings constitute a rectangle: on rue Saint-Dominique are the buildings of the old convent « Filles de Saint-Joseph », two square courtyards adjacent to one another, (of which the « cour de l'Horloge » and the old cloister become « jardin de l'Ouest », "West Garden"), and on rue de l'Université, the hôtel d'Agenois and the hôtel d'Estrées. 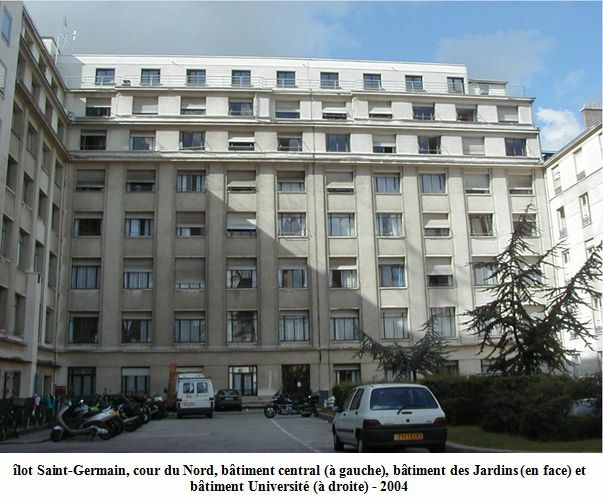 The same year, the state buys the hôtel de Brienne, which has already been instated as War Ministry. 1826 Construction of the « bâtiment du 8 » (building at nۨ) where the gardens of the hôtel d'Estrées are. 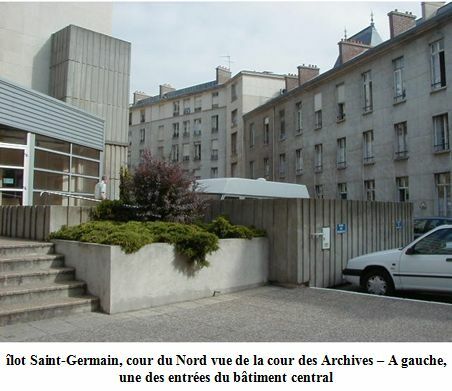 This is destined to become the « Dépôt des Fortifications » (military construction archives) for the Génie ('military engineering') archives and the « bâtiment Solférino » (Solférino building) for the Ministry archives. 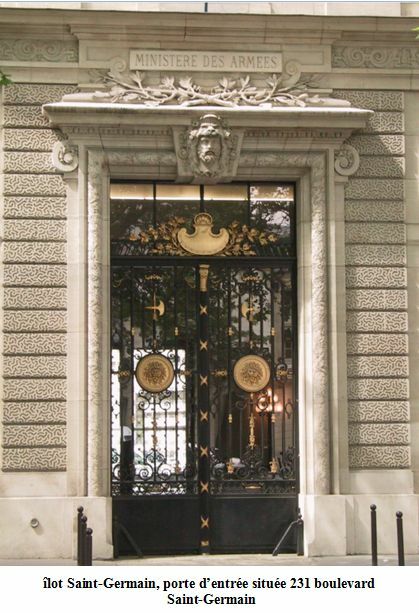 1842 Renovation of the « building at n° 10 ». 1849 Construction of the present « bâtiment des Archives » (Archives building). 1864 Nearly total reconstruction of the « bâtiment Sainte-Clotilde » (Sainte-Clotilde building). 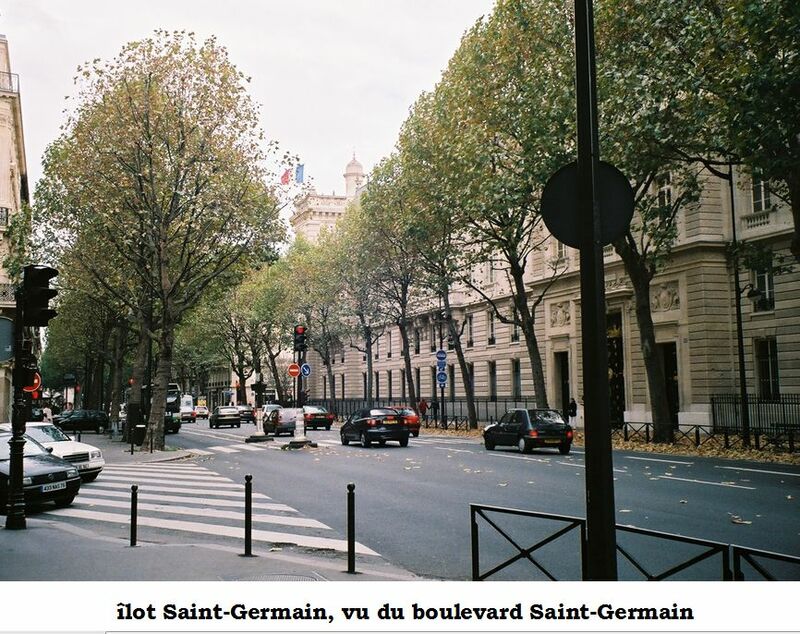 1867-1877 Destruction of the hôtel d'Estrées and part of the hôtel d'Agenois, following the piercing through Paris of the boulevard Saint-Germain by the Baron Haussmann; subsequent to this is the construction of the building now situated on this boulevard. 1883 Destruction of the riainder of the hôtel d'Agenois and construction of the « bâtiment Université » (Université Building). 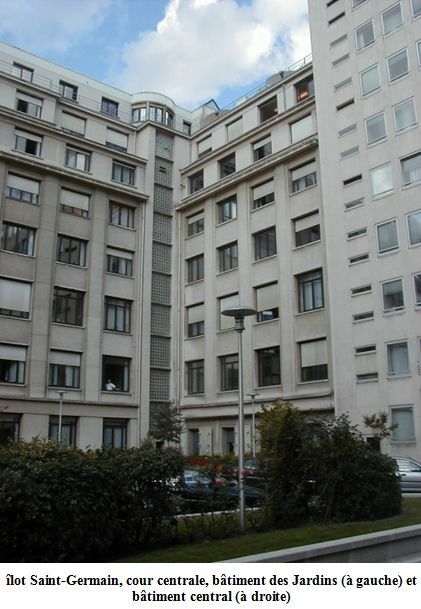 1937 Destruction of some of the buildings surrounding the former « jardin de l'Ouest », "west garden" and construction of the « bâtiment des Jardins » (gardens building). 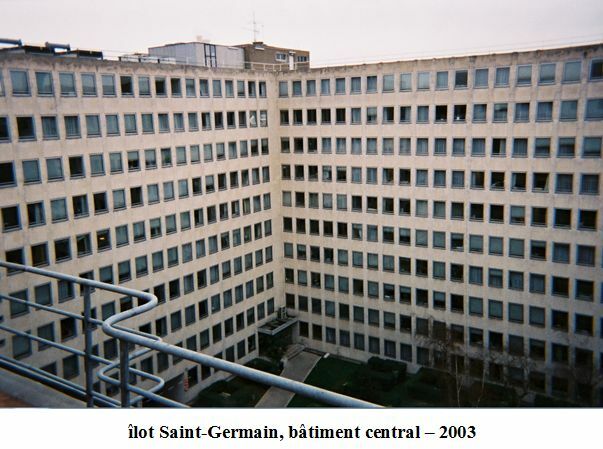 In the 1950s Destruction of the buildings surrounding the « cour de l'Horloge » (clock courtyard) and construction of the « bâtiment central » (central building).